“‘…he seemed to stare… with that wide and immense stare embracing, condemning, loathing all the universe. I seemed to hear the whispered cry, “The horror! 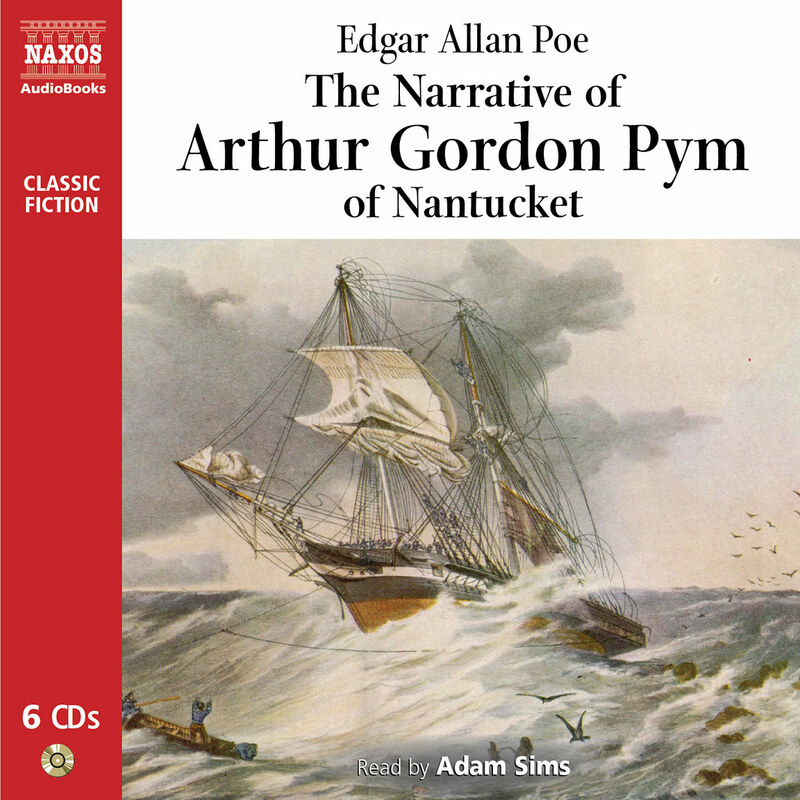 The horror!”’” On a becalmed yawl in the Thames estuary, Marlow tells a tale of Africa. His job there is to find the enigmatic Kurtz, but his journey farther and farther upriver reveals the brutality of the white Imperialists who run the country. Established as one of the great English novels, and a story of mythic power, Heart of Darkness is rich in meaning – allusive, enthralling and haunting. Born in the Ukraine and writing in his adopted language, English, Conrad has fashioned a story of immense power. 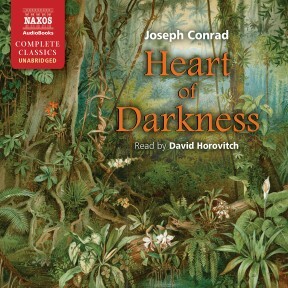 Heart of Darkness, on the simplest level, is the recounting of a journey up the Congo River by Charles Marlow, captain of a Belgian trading company ferryboat. He tells his story to four colleagues as they rest aboard a ship on the Thames Estuary. Marlow is tasked with locating a man named Kurtz, a man of innumerable talents and a local legend. The journey up the Congo is a physical journey. It is the journey of a mind. It is the journey of a society. It is ultimately the journey of a soul. At a time when the United States is grappling with its place as the last remaining super power, Heart of Darkness is a beacon warning of the darker consequences of human endeavor. Distinguished British stage (on the West End in London as well as with the Royal Shakespeare Company), television (Poirot), and film (his latest is 102 Dalmations) actor David Horovitch reads Heart of Darkness with the gravitas the work requires. 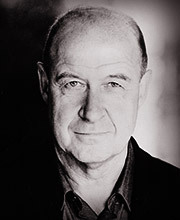 He captures Marlowe’s emotional connection to Kurtz’s experience. Like Marlowe, once you’ve listened to Heart of Darkness, you’ll need time to grapple with Kurtz’s epiphany. 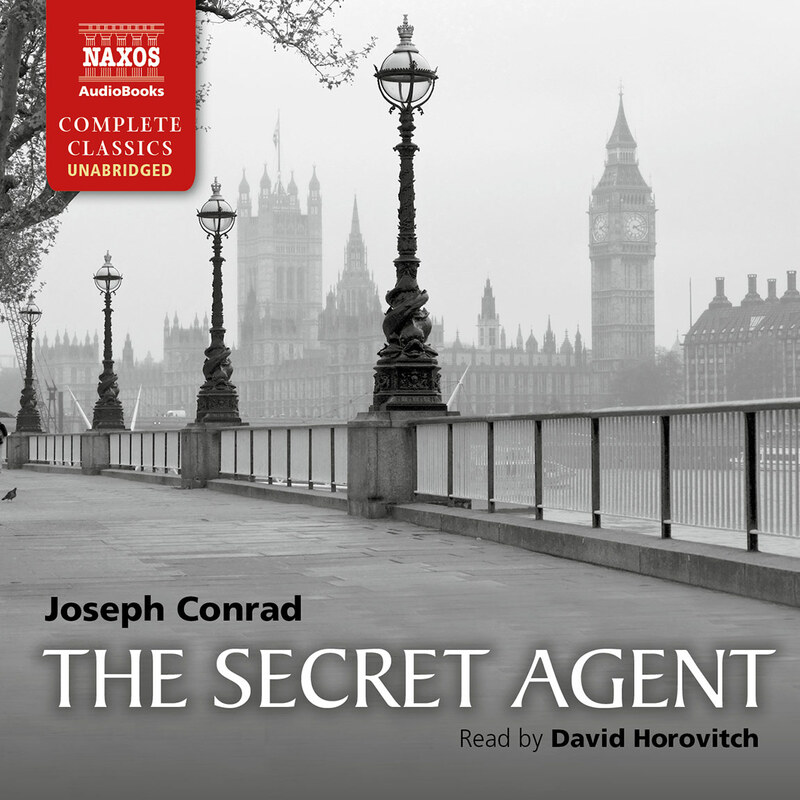 Joseph Conrad was born Józef Teodor Konrad Korzeniowski to patriotic Polish parents in Berdichev, in Russian-occupied Polish Ukraine. His father, a literary translator, was also politically radical, and as a result was exiled some 300 miles north of Moscow. The weather at such a latitude took as heavy a toll on the family as did their exile, and Conrad’s parents both contracted tuberculosis. Although the family was allowed to move to a less demanding climate, Conrad’s mother died in 1865, and his father in 1869. 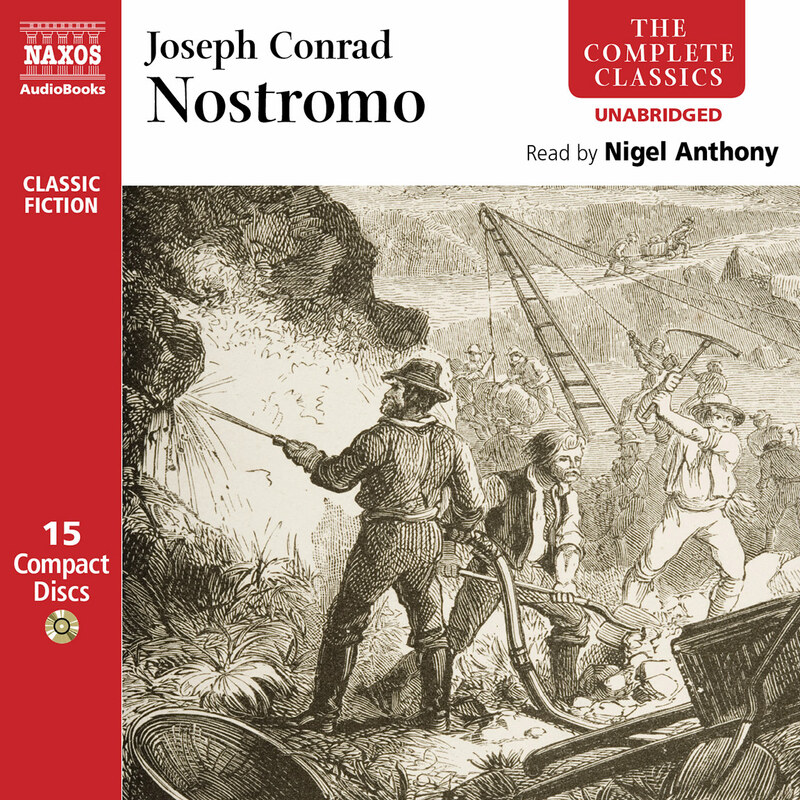 By the age of 11, Conrad was an orphan who had seen his parents killed by incurable disease and also by political repression, a combination of pitiless nature and equally inhuman man that finds an echo throughout all of Conrad’s fiction. The echo is there because these ideas became central to Conrad’s vision of the world, a vision which was polished like a lens by his early experiences in Poland up until the age of 16, and then by his life as a mariner over the two succeeding decades. He became a seaman in part because he was trying to avoid Russian military service (his original plan was to take Austro-Hungarian citizenship), but also because he felt a powerful magnetic desire for the sea, for travel in general and to Africa in particular. Getting on the ocean didn’t solve all his problems immediately – in 1878 he was nearly killed in what may have been a duel over a woman, but was more likely (though not certainly) a suicide attempt following the loss of substantial sums in a casino. Either way, he ended up losing his place within the French merchant fleet, and so joined the English ship Mavis. 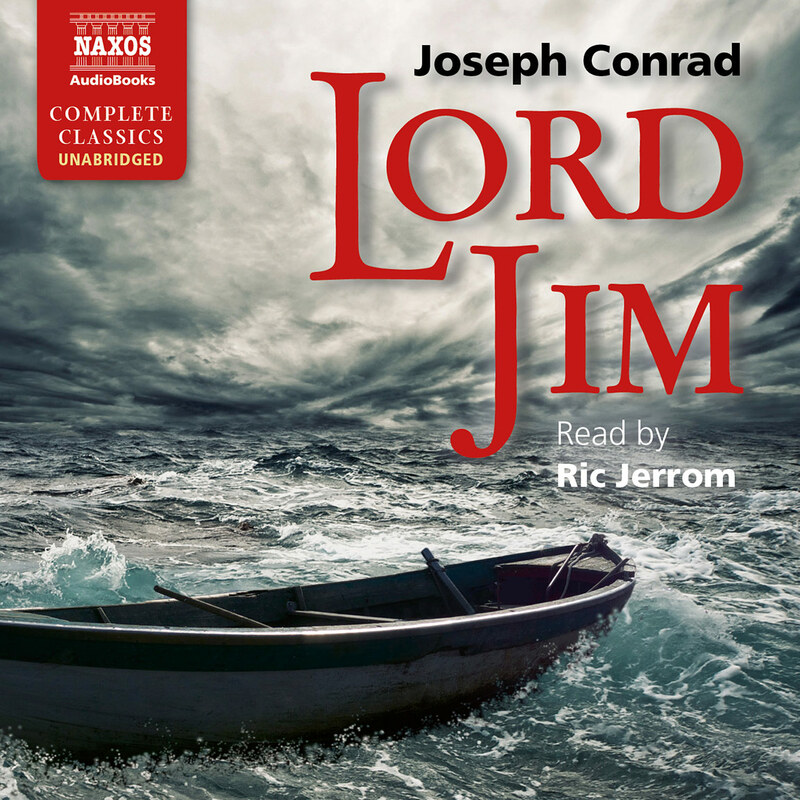 Over the next few years English became his third language (he was fluent in French as well as his native Polish), and upon becoming a Master Mariner he was able to become naturalised – and transformed himself into Joseph Conrad. He travelled on some of the finest vessels of the age (such as the Torrens, a renowned passenger boat that held the record for sailing to Australia) and some of the worst (such as the Palestine, which took more than a year to sail from Newcastle to Indonesia before being destroyed by fire), and most types of vessel in-between. He also stayed in some very luxurious places. But Conrad was living the life dangerously as well as fully, being involved in gun-running for Spanish rebels at one point; significantly, he found his world-view becoming more and more clearly defined by what he experienced on his travels. He seemed to see the very worst of mankind’s attitudes and behaviour, and these formed the basis for many of his fictions. His trips to Africa, South America, southern Europe and elsewhere gave him immediate contact with exotic, hardly-known places that he would later bring to menacing and knowingly inchoate life. But it was not just a profound sense of place that he gave to his stories and tales – he filled them with the darkest elements of human nature, too. Deprivation, cruelty, failure of honour, vicious brutality and cynical self-interest marked the humanity that he observed. This was most evident in the voyages that were the inspiration for Heart of Darkness. In 1890, beginning his first novel (Almayer’s Folly), he began the long process of divorcing himself from the sea and becoming a writer. In the same year he was given the chance to be a mate on a steamer operating in the Belgian Congo. Conrad had longed, for years, to go to Africa, drawn by the particular mystery it seemed to exert on the European Victorian imagination. But what he saw there was the most brutal, systematic, corrupt and violent suppression – rapine on a national scale for the benefit of the Belgian king’s pockets. Torture, kidnapping, murder, mutilation and more were all used to ensure a workforce of slaves to gather the rubber crop. 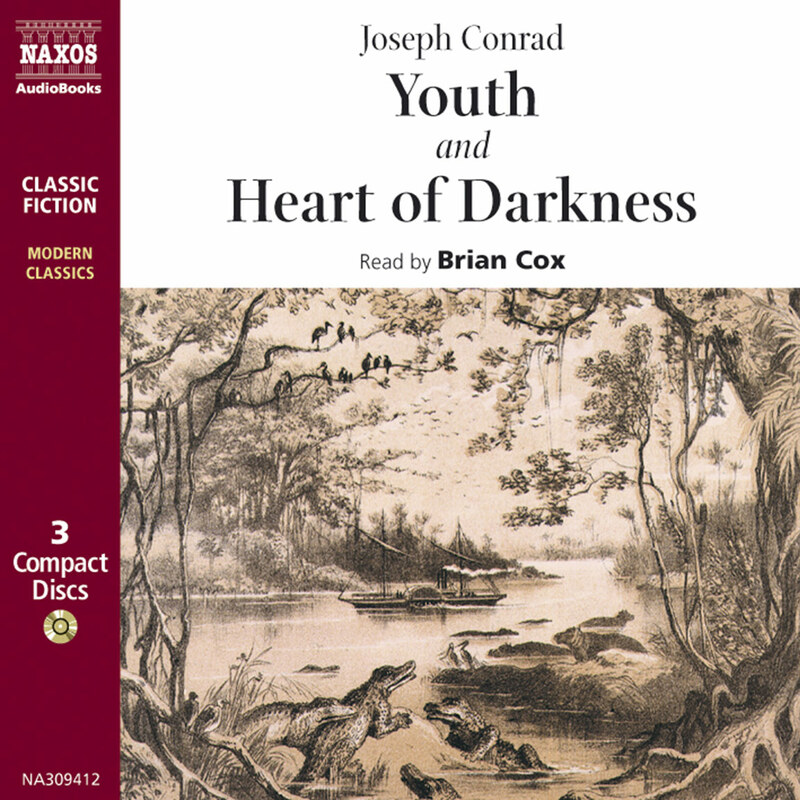 When Conrad came to write Heart of Darkness, some eight years later (it was first published in 1898–99 in serial form in Blackwood’s Edinburgh Magazine), he had matured significantly as a writer; as a result he transformed this horrific truth into something that was somehow even darker – a metaphor for human civilisation, for the human soul, for humanity. That is at least one way of seeing it. There are many. The story could be a well-crafted piece of not-quite-fact, a powerful indictment of Belgian colonialism, a general work on the nature of Empires, a broader fable about power and belief, or an even broader symbolic warning about the power of darkness in its many forms to overwhelm the light; perhaps the story is not looking outwards at all, but inwards, towards the individual’s essential self. The reason for this multiplicity of potential is that the language Conrad uses is full of implication, uncertainty and suggestion. He creates rolling tides of words that imply much more than they directly state, generating complex and convincing atmospheres rather than specific meanings. In his writing his concern was not specifically for the action itself, but its effect on the protagonists and especially the readers: he wanted to illuminate truths. With Heart of Darkness, he went further, creating something like a 20th-century myth that continues to enthral and inspire people (most notably in recent times as the Urtext for the film Apocalypse Now). Conrad took from his internal life as well as his external one, of course, but this was no happier a source. He could be emotionally unstable and suffered from depression; he was ill for much of his life (some of it a result of his time in the Congo); and he had an essential Polish sense of the dramatic and romantic, allied to a profound nihilism. And the fact that English was not his first language added a further dimension to his writing. He could bring his European sensibility to bear on the subjects he wrote about, and at the same time use different rhythms, even a slightly unusual vocabulary. The result was the unique cadences and rich allusiveness of his greatest works. His marriage and two children did not bring him much joy. Many of his considerable circle of literary friends found his marriage to Jessie George inexplicable – she was 15 years his junior, a typist from Peckham, and had nothing in common with Conrad (she might have countered that Conrad’s literary circle were themselves a pretty inexplicable bunch: Ford Madox Ford once washed his greasy Panama hat in her sink then dried it in the oven above her Sunday roast). But then, Conrad found working under adverse circumstances more productive; joy seems not to have been his destiny.